We are a congregation of people following Jesus Christ. We hope that you will find here: worship where tradition and daily life meet in ways that can comfort and inspire you. because we believe that God’s love, for all people and for all creation, is the real hope for the world. The church meets for worship each Sunday at 10:30 am, normally in its building in Paul Street. Directions can be viewed here. The Lord’s Supper is celebrated on the first Sunday of the month. 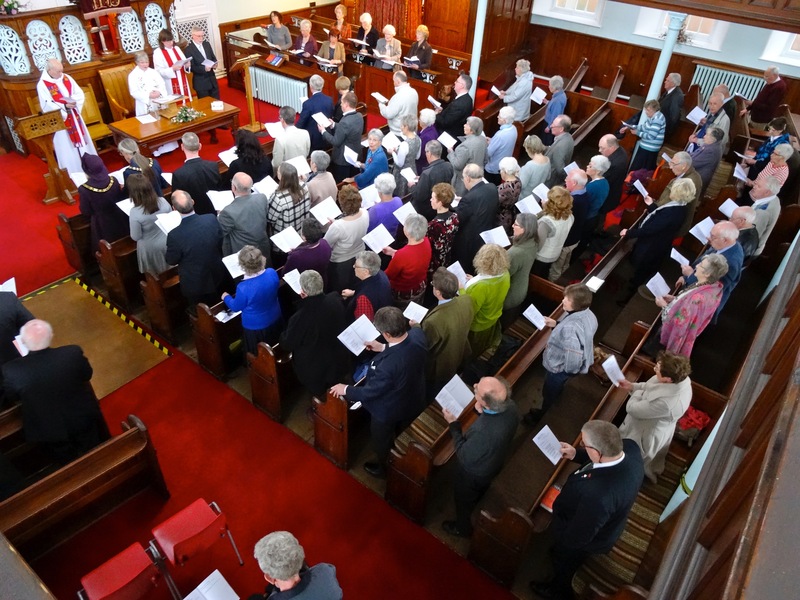 About six times a year we worship together with the Temple Methodist Church, sometimes at their building in Upper High Street, also at 10:30 am, and sometimes also with St John’s parish church. Most Tuesdays at 12noon for half an hour Café Style Worship is held in the Dora Cox room at the Paul Street church – entrance through main doors – as part of the informal ‘Oasis’ gathering. Hot drinks are served and people are invited to bring their own lunch. Visitors are most welcome to worship with us at all times. and nourished by your grace.